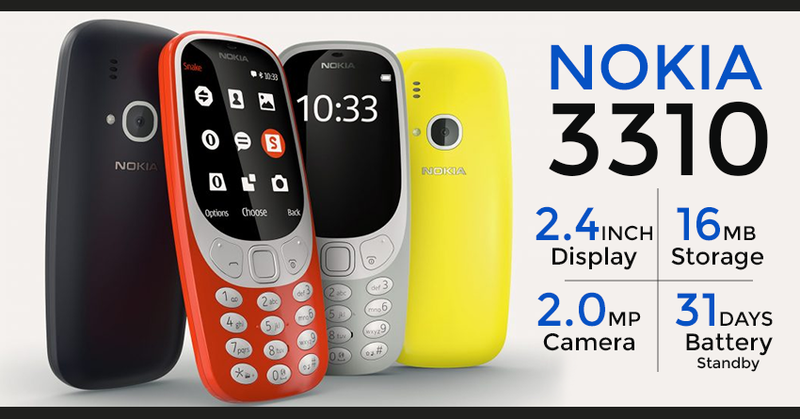 The iconic Nokia 3310 is back! The feature phone was re-introduced at Mobile World Congress 2017 in Barcelona for 49 Euros (INR 3500). The most popular model of all time, Nokia 3310, now comes with enhanced visual identity and host of added features than its predecessor. As per the latest details available, Nokia has officially started shipping the 3310 in most of the countries and they will soon be announcing the exact price and launch date for the Indian market. The 2017 version of 3310 will be available in 2 options: single SIM and dual SIM. We expect the Nokia 3310 to launch in India in June with a price tag of around INR 3500. The phone’s first generation was launched back in September 2000, selling more than 126 million units at that time. It is undoubtedly a very important product in the company lineup. The 2017 version of Nokia 3310 carries a colored display, measuring 2.4 inch diagonally and carrying polarized QVGA display. The phone offers customizable user interface, 2 MP rear camera with LED flash, 16 MB internal storage and SD card support up to 32 GB. The phone now comes with a removable battery measuring 1200 mAh. 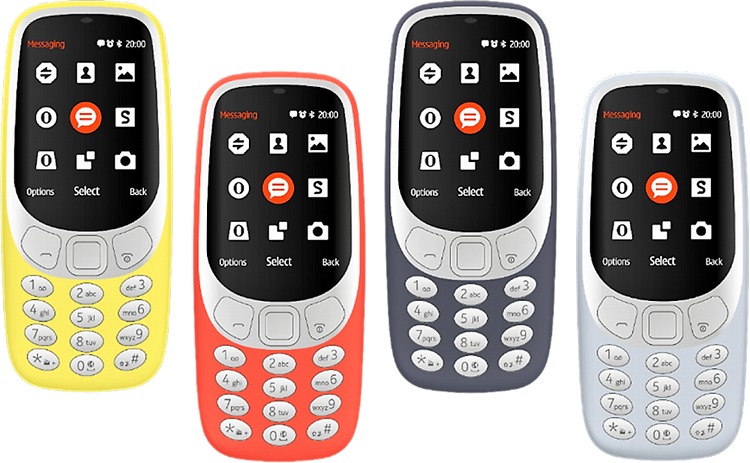 Nokia 3310 now even carries Bluetooth 3.0 and USB 2.0 connectivity. HMD Global, the parent company that manufactures Nokia phones currently, has made all the required changes that were needed to make this phone a 2017 year compatible model. It now measures 12.8 mm in thickness and connects through 2G network only. Nokia 3310 now comes in eye popping shades namely Warm Red, Yellow, Matte Grey and Matte Dark Blue. The 2017 model now with a 3.5 mm audio jack. Nokia 3310 will be available in both single and dual SIM options. The list of utility features now adds the availability of Opera Mini for web browsing, 22 hours of talk time and 31 days of standby battery backup. If all of these still don’t excite your senses, the new Snake game that is identical to the old one but carries a colored layout is a mouth watering deal for sure.